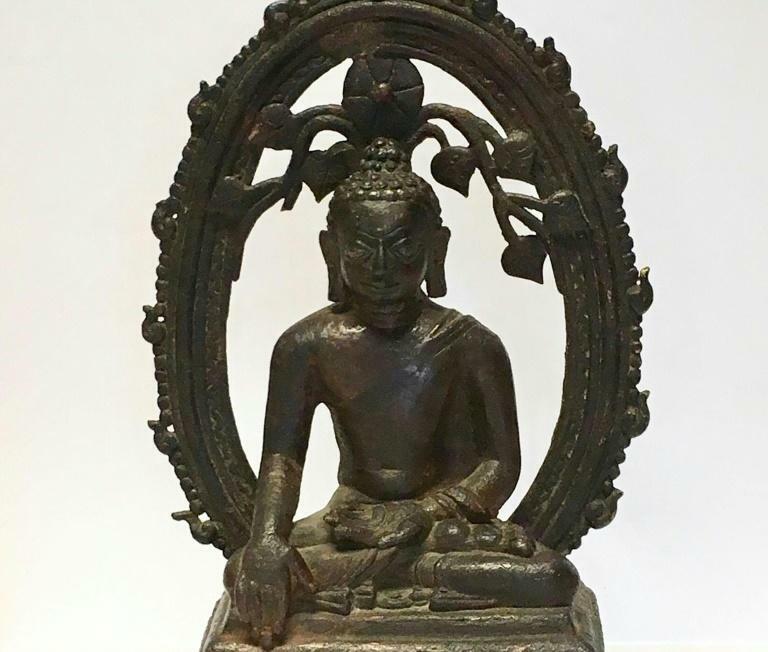 A 12th century bronze Buddha statue stolen from an Indian museum 57 years ago has surfaced in London and is now being returned to the country, police said Wednesday. The statue with silver inlay was one of 14 stolen from the Archaeological Survey of India site museum in Nalanda in the east of the country in 1961. It was spotted at a trade fair in Britain in March this year, prompting an investigation by the Art and Antique Unit of London's Metropolitan Police. They alerted the owner and dealer, who are not accused of any wrongdoing, and who agreed for it to be returned to India. The statue was handed over to the Indian High Commission in London in a ceremony on Wednesday. "This underlines how law enforcement and the London art market are working hand in hand to deliver positive cultural diplomacy to the world," said arts minister Michael Ellis in a statement. Detective Constable Sophie Hayes of the Art and Antique Unit added: "Particular credit must go to the eagle-eyed informants who made us aware that the missing piece had been located after so many years."